It's something every parent wishes for. But for this mum, it's a huge burden. Her son is incredibly bright but, she wishes he wasn’t. A few years ago, I was told that my son was gifted. For any parent this is exciting news, and it was. But now, a few years down the track, I sometimes catch myself wishing he wasn’t so bright. Don’t get me wrong, I have an amazing, talented, special little man (actually I have several) who I couldn’t be without. He and his brothers are my world. But sometimes I do wish that my eldest was just a bit more… “normal” (whatever that is). Before I get crucified for saying this, let me tell you my reasons. First and foremost, I continually feel as though I am letting him down. He needs constant stimulation and entertainment, and I feel I don’t deserve such a gift because I simply don’t know if I’m nurturing it properly, and doing him justice in his upbringing. Like any parent, I just want to do the best by him (and my other children) and often, I feel as though I’m failing miserably. "At his age now, he needs constantly stimulation and entertainment and at times..."
I lie in bed at night wondering how I can encourage his learning and support his curiosity, while at the same time give my other children the attention and support that they too deserve. Often I just feel a huge amount of pressure and I&apos;m left wondering if I&apos;m really good enough to be his mother. He loses interest in games and activities easily and constantly needs me to be involved with what ever he is doing. When he is bored, he can get naughty. And it&apos;s hard because I know the reasons for his behaviour, but at the same time I&apos;m still only human, and stuff needs to get done. However, it does make me concerned for his future in school. I don&apos;t want him labelled as the "naughty kid" because he acts up in class due to boredom. His potential is huge, but so too is the risk of him going off the rails. Then there are times where I feel I need to conceal information about my child, because other mothers especially, can be so cruel. Every parent thinks their child is special, and they all are, but saying out loud that your child is gifted comes with a whole heap of judgement that you just can&apos;t escape. "I don&apos;t want him labelled as the &apos;naughty kid&apos; because he acts up in class due to boredom." I remember telling my Mother&apos;s Group about my son&apos;s assessment. And I distinctly remember most people being supportive to my face, but later forgetting that I was included on a Facebook group message. Comments such as, "As if they can tell how smart a child is now?" and "I know he is bright but I don&apos;t reckon he is that smart" showed me that to a lot of mothers, intelligence, just like so many other areas of parenting are a competition, a debate. Clearly one that they felt they needed to weigh in on. It&apos;s also hard because at the end of the day, he is still just a young child who shares a lot of the same characteristics of other boys his age. Once you tell someone that your child has been classified as highly intelligent, you can see them judging and assessing every aspect of him to determine whether they (in their less than professional opinion) agree or disagree with the diagnosis. Intelligence governs a lot of his personality, his mannerisms and behaviours, but it&apos;s not everything. He is still just a young boy. "He is still just a young child who shares a lot of the same characteristics of other boys his age." People think when you say you have a gifted kid, you&apos;re frankly, a bit of a wanker. I don&apos;t want to be perceived like that. And so, sometimes it&apos;s easier to say nothing. There are only a close group of friends and family who know about my son&apos;s assessment. This is not because I&apos;m ashamed of him in any way, quite the opposite, but because I don&apos;t want him, or myself, to be judged for openly stating that he is intelligent. It is not a declaration that my child is better than yours, or a medal that I feel like waving in the faces of all the other children, it&apos;s simply an aspect of my son that makes up his personality. And with it comes a different set of challenges. As is the case with a lot of highly intelligent children, he can sometimes suffer socially. When I see him trying to make friends with other children at the park, or at preschool, sometimes I want to cry. His language, comprehension and understanding are far superior to most children his age and a lot of the time, he fails to communicate properly with them in order to join in games. (Again, even now writing this I feel as though I need to justify saying these things, and confirm that in no way do I think my son is better than other children). "People think when you say you&apos;ve got a gifted kid frankly, you&apos;re a bit of a wanker, and I don&apos;t want to be perceived like that." He gets frustrated when other kids don&apos;t understand the words he is using, and usually resorts to finding older children to play with (who often disregard him as a baby and don&apos;t want to include him in games due to his age) so often he will just play on his own. As a mother, that&apos;s really hard to watch. But at the end of the day, I have been given a special, incredible gift in my child (in all of them). And yes, there are times where I wish he was a bit more "average" for my benefit and for his. But then I catch myself and think, why would I wish to change something so perfect so he fits in with society a little easier, so he doesn&apos;t have to be left out of games with his peers, and so I&apos;m not so drained at the end of the day from entertaining him. I wouldn&apos;t.
But what I do hope in writing this, is that other parents respect that having a gifted child is not a parenting accomplishment we wish to rub your nose in, or a way of stating that I feel superior to you in any way. It&apos;s a unique parenting situation (just like so many others) which comes with it&apos;s own set of amazing positives, and some really difficult and often emotionally crippling challenges. What do you think? 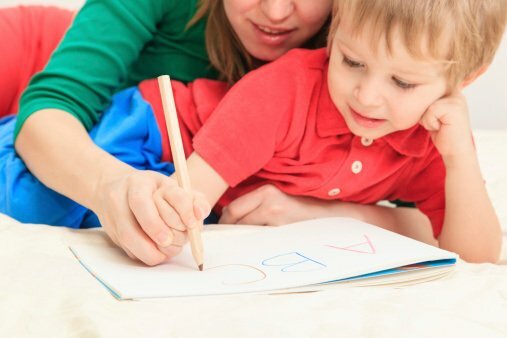 Should parents of gifted children feel they need to hide this aspect of their child?